The 488 GTB is the first mid-engined V8 Ferrari since the iconic, limited edition F40 to feature turbochargers and there’s no greater demonstration of how far supercars have come since then. 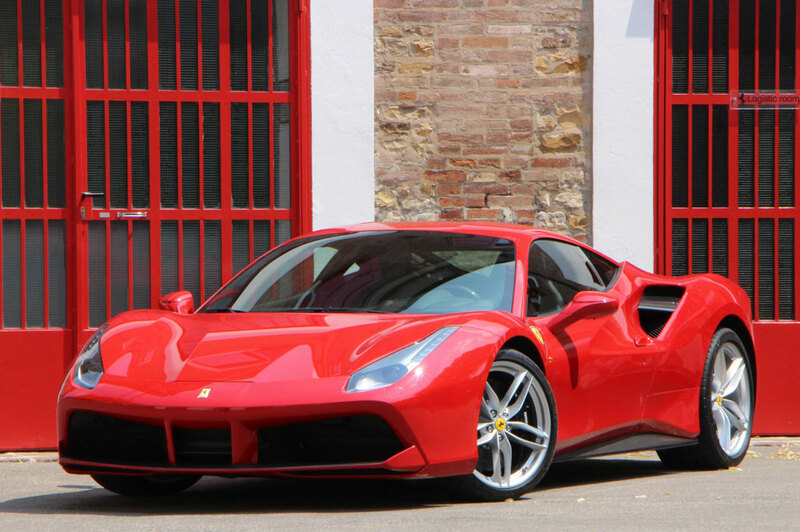 With its howling 3.9-litre V8 developing 670hp and a chassis that adopts all of Ferrari’s F1 know-how, the 488 GTB offers near hypercar pace, poise, and agility that has to be experienced to be believed. It’s genuinely difficult to comprehend that this is, California aside, the entry-point to the Ferrari range. The 488 GTB moves the supercar game forward, answering all those doubters who questioned whether the Italian company could build a better car than the 458 Speciale before it. Leaves us wondering just how ridiculous the performance will be when the next Speciale arrives. The 488 GTB is very different to the 458 Italia before it, but different in a very good way, as Ferrari demonstrates that a turbocharged future needn’t be a muted or unsatisfying one. To achieve that the engine’s controls are in a different league of complexity, the systems operating the 3.9-litre and the pair of twin-scroll turbochargers that force air into it, have been honed to the point where they’ll hoodwink you into thinking it’s naturally aspirated. There’s virtually no perceptible lag, as the response to your right foot is absolutely instant, and the speed that it brings is eye-widening. Indeed, the greater torque output from lower revs increases the speed, though Ferrari has worked to reduce the torque to create a more linear and natural feeling to the engine’s response via 'Variable Torque Management', and it works very impressively indeed. It’ll rev all the way to 8,000rpm, which is a touch lower than the 458 did, but the increased urgency through the gears is tangible, the 488 GTB feeling more hyper than supercar in its pace. It sounds magnificent too, different admittedly, but by no means bad, as the 488 GTB’s unit still has the capacity to tickle your aural senses while it’s flinging you down the road absolutely devouring the seven ratios on its paddle-shifted transmission. That gearbox shifts with all the speed and accuracy we’ve come to expect from Ferrari, the slightest touch of the paddles resulting in another ratio up or down, keeping you busy, as it feels slightly short geared alongside the engine’s sheer enthusiasm to chase its redline. Do that and the pace is incredible, yet what’s even more staggering is how civilised and controlled 670hp and 560lb ft of torque can be. That’s thanks not just to the engine and transmission, but the chassis it’s all fitted to. If the 458 demonstrates one thing, it’s that Ferrari is at the absolute top of its game in applying F1 technology to its road cars. The 488 GTB underlines that wasn’t a fluke, building on the 458’s foundations with even more incredible agility and balance, plus the adjustability on offer is little short of ridiculous. The damping is sublime, the ride exceptional as a result, the body and wheel control exemplary. Traction is mighty, the steering super quick and pin-sharp in its precision, the grip extraordinary. When it all gets too quick the standard carbon ceramic brakes are unerring in their stopping power. Really, you can drive it however you like, neat and tidy and it’ll cover ground with impunity, or exuberant and wanton, the 488 GTB’s limits easily breached with its prodigious output, the various electronic control systems, including F1 Trac, E-Diff, SSC2 (Side Slip Control 2) allowing you to enjoy them. 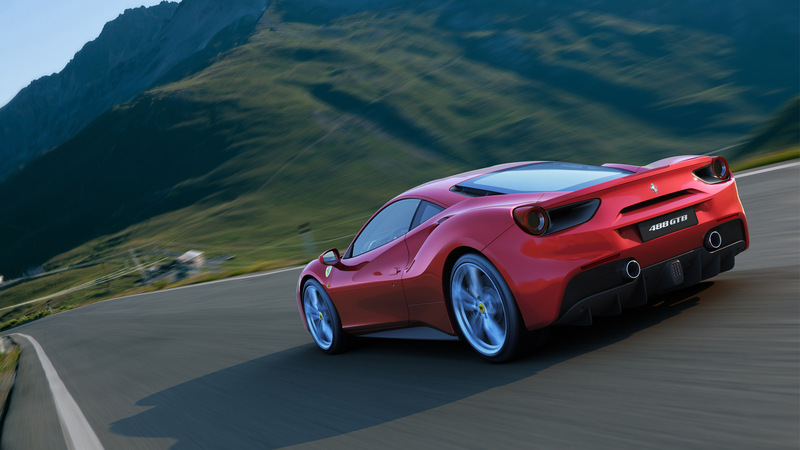 Rewarding, like little else, the 488 is a truly exceptional car. Security deposits apply for renting the Ferrari 458 Italia in Sydney & are between $15k - $20k depending on various factors. Credit card pre-authorisations are offered if certain criteria are met.